Well known across the US as the Purple Stuff. Purple Heat is an 8% magnesium blend and will melt down to -15 degrees F / -26 degrees F. It contains a purple, organic, non staining dye for controlled application. 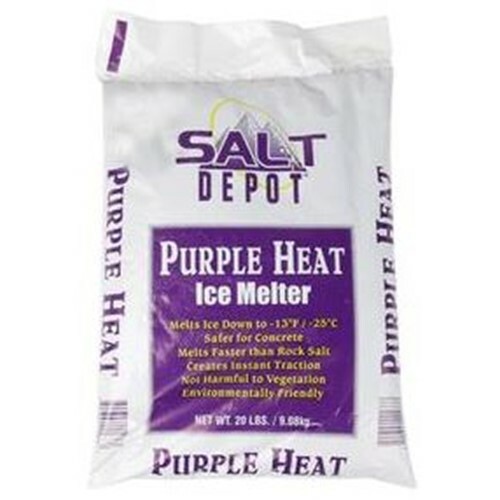 Purple Heat is safe on concrete and is pet and environmentally friendly with suggested application.